Dr. Taft's blog entry yesterday on surviving the holidays could not be more timely. This is the month of December, and I am just now writing the November post for our Rare Disease of the Month blog. This month we're discussing Sjogren's Syndrome. Although you may have never heard of it, the disease currently affects over 4 million Americans. In case you're wondering (like I was), it is pronounced "SHOW-grins." It was named after the man who discovered it in 1933, Dr. Henrik Sjogren. One well-known celebrity with Sjogren's Syndrome is the tennis player Venus Williams. 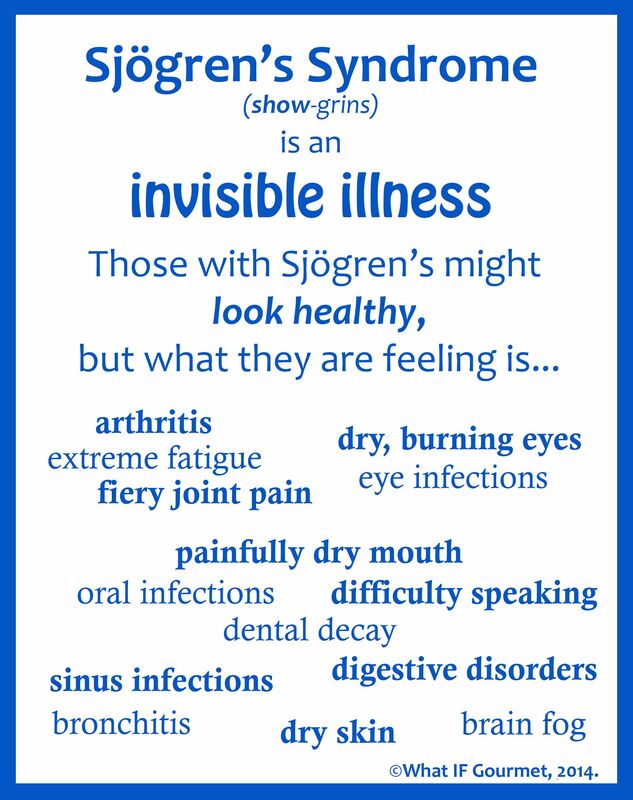 Snapshot: Sjogren's Syndrome is an autoimmune disease where the person's white cells are attacking the body's moisture-producing glands. Nine out of ten patients are women, and half of the time it occurs in the presence of another autoimmune disease such as lupus or arthritis. The hallmark symptoms are dry eyes and dry mouth, but since this diseases is systemic, it can affect many other areas of the body. Some of the parts of the body that can be affected are kidneys, lungs, liver, pancreas, the GI system, and the central nervous system. Some patients experience joint pain and extreme fatigue. If you want to see a great snapshot of Sjogren's, check out this video clip put out by the Sjogren's Syndrome Foundation. What About Diagnosis and Treatment? Because the symptoms patients may experience are similar to other diseases, the average length of time to receive a diagnosis of Sjogren's is 3.9 years. Often time it can be overlooked or misdiagnosed. There is no single test that confirms Sjogren's Syndrome. Ophthalmologists typically are the doctors who diagnose this. After doing a physical exam and listening to your symptoms, they use a variety of tests to make a diagnosis. The tests include blood tests to look for abnormal antibodies or inflammation, as well as eye tests that measure tear production and dryness. Dental exams looking for salivary abnormalities help as well. There is no cure for Sjogren's and different patients report different levels of severity of symptoms. Treatments can include over-the-counter as well as prescription medications. Some patients require immuno-suppressive drugs to treat their systemic disease. What About the Social and Emotional Impact? There are few research studies on the social and emotional impact of Sjogren's Syndrome. Some of the symptoms of the illness are invisible like extreme fatigue, joint pain, and vaginal dryness. That does not mean that symptoms are not life-altering though. On top of this, other symptoms like red eyes, tooth decay, swollen parotid glands and skin rashes may be more visible and present more challenges to a patient's social life and body image. Social withdrawl, depression, anxiety can happen, as they can for other patients with chronic illness.